The New Humanitarian | What do Yazidis make of Kurdish independence? What do Yazidis make of Kurdish independence? Iraqi Kurdistan’s independence referendum hangs on tenterhooks, with Iraq’s prime minister promising military intervention should Monday’s vote lead to violence, the US, UK, and UN urging Kurdish leaders not to move forward, and the Kurdistan Regional Government’s parliament voting to do just that. With much of society apparently in two minds about the referendum, especially its timing, one group the authorities long believed they could count on for a “yes” vote was the Yazidis, a Kurdish minority singled out by so-called Islamic State for especially cruel treatment in a campaign the UN has deemed genocide. But Yazidis – displaced in different camps and mostly hailing from Sinjar, a contested area that could become a flashpoint for further conflict if the vote goes forward – are themselves divided on the independence question. Hassan said many Yazidis have thrown their support behind the predominantly Shia Hashd al-Shaabi forces, also known as the Popular Mobilisation Units, or PMU. Formed in 2014 of pre-existing militias and new volunteers with the express purpose of fighting IS and now officially under the authority of the Iraqi government, the PMU played a major role in liberating parts of Sinjar from IS, arming Yazidis who were willing to join. According to PMU spokesman Ahmed al-Asadi, 2,000 Yazidis have joined the force and are stationed in positions around Sinjar, mostly in areas still classed as military zones. A key PMU leader has recently come out against the referendum. Iran, which supports the PMU with weapons, ammunition, and training, is also opposed to the vote. Most of Iraq’s Yazidis hail from Sinjar, in Nineveh province. 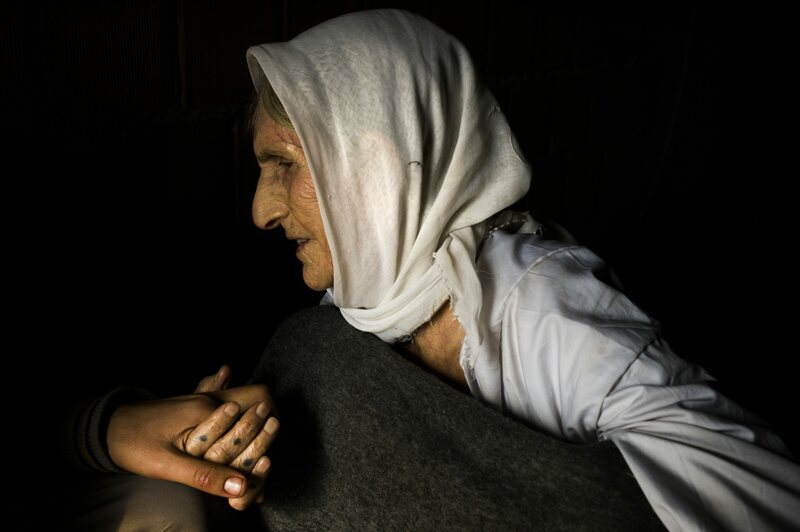 More than 275,000 people – including tens of thousands of Yazidis – were driven from their homes there in August 2014 as IS swept through, terrorising the Yazidi population, who they characterise as pagans. Innocent civilians were killed, abducted, and forced to convert under torture. Women were taken into sexual slavery, and many are believed to be still captive. 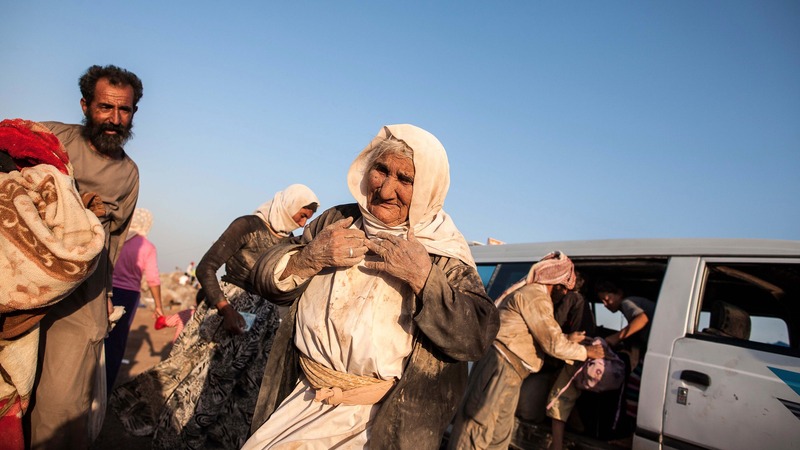 Many fled IS slaughter to the top of Mount Sinjar, where some were dramatically rescued. Yazidis who remained on the mountain split. Some joined forces with a militia that has ties to Turkish- and Syrian-based Kurdish groups, including the Kurdistan Workers’ Party (PKK), while others are loyal to KRG President Masoud Barzani and his Kurdistan Democratic Party (KDP). In March this year, fierce fighting broke out between the groups, sending yet more civilians into flight. The split in the fighters – many of the first group have since joined the PMU – suggests how divided the Yazidis are politically and raises questions about who might control the territory in the future. What becomes of the Yazidis matters even more for the future of Iraq as Sinjar – strategically located near the borders of Syria and Turkey – is one of the key disputed territories. With a variety of interested parties – including Turkey because of the PKK presence and the PMU – Sinjar will be hotly contested and potentially dangerous. So far, very few Yazidis or Arabs from Sinjar have been able to return home. Those originally from the area, from both ethnicities, are theoretically eligible to vote in the referendum. Most Yazidi IDPs now live in camps in the KRG, where they should be able to vote. The more complex problem lies with Arab families originally from Sinjar, most of whom were forcibly relocated by IS and are now living in IDP camps outside Mosul, beyond Kurdish territorial borders. “Of course we will invite the original Arabs from Sinjar to vote, but some of them supported Daesh [IS] in the beginning and I don’t think they will be allowed,” Jutyar Mahmoud, a member of the KRG’s Independent High Elections and Referendum Commission, told IRIN. Mahmoud did not explain how these decisions on excluding certain voters would be reached, but indicated it would be a challenging process to include displaced Arabs from Sinjar in the vote. Arabs from Sinjar living in west Mosul camps told IRIN it was very difficult for them to leave the camps. They said they believed they would be prohibited from attempting to return to their former homes, most of which they claimed had been demolished by peshmerga forces – something peshmerga commanders have denied. Even if they were eligible to vote and able to reach polling stations, Sinjar Arabs said they were not keen on the idea of an independent Kurdish state. One Western humanitarian worker based in the KRG for several years said he felt the suffering of the Yazidis had been manipulated in support of the referendum. After attending a recent commemoration of the 2014 Yazidi massacres, he described it as having been “hijacked by pro-referendum propaganda”. The motto of the event was: “Yesterday was genocide, today is the referendum, and tomorrow will be an independent state”. It also included an elaborate dance performance that appeared to show peshmerga saving the Yazidis from IS. The attendee said that given the fact that the peshmerga are alleged to have actually withdrawn from Sinjar in the face of IS advances, “the performance was quite embarrassing to watch and the whole event seemed far more focused on referendum propaganda than on the Yazidi genocide it was supposed to be commemorating”. “The legacy of August 2014 is still in the memory of the Yazidis,” said Chatham House’s Mansour. He explained that various sides were using the issue – with pro-PKK forces claiming the peshmerga abandoned the Yazidis to IS as a tactical move, and the KDP finding loyal Yazidi allies, funding them, and effectively causing splits in the community. KRG Prime Minister Nechirvan Barzani has emphasised that “the voice of Shingal (Kurdish for Sinjar) in this referendum is very important because it is the voice of the Anfal genocide and the voice of the pains of our people,” referring to Saddam Hussein’s anti-Kurdish campaign in the late 1980s that killed thousands of civillians, including Yazidis. “It will be a call for freedom from subjugation and slavery,” he said. Not all Yazidis agree with this sentiment.